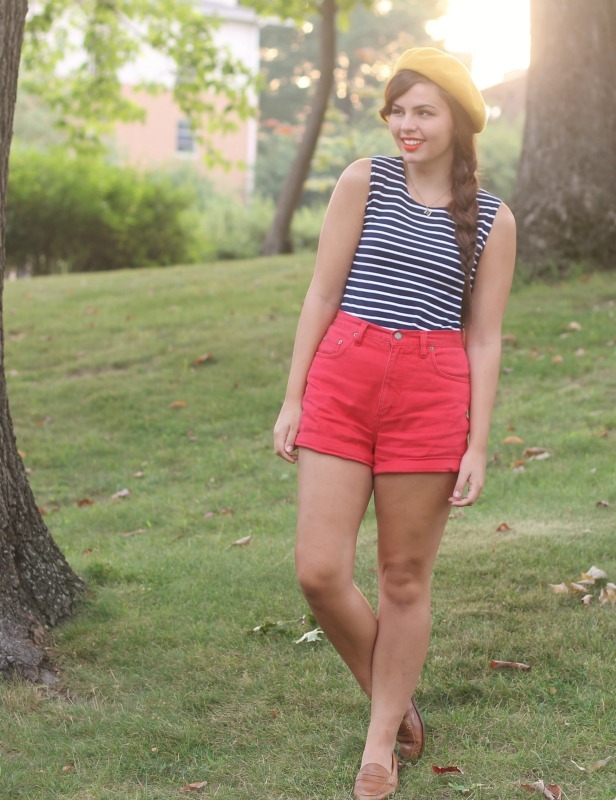 Striped Top, Red Shorts, Loafers: Thrifted. Had to fit one last nautical look for summer in. 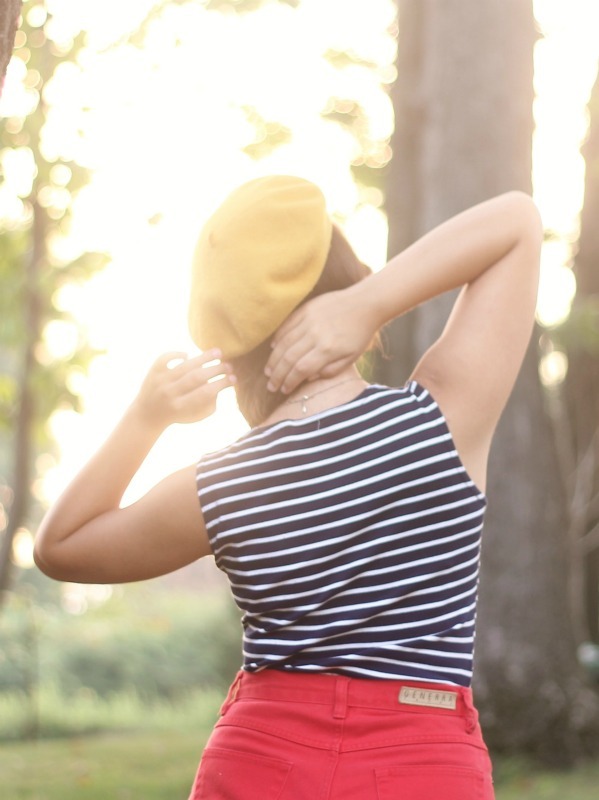 Even though I wear sailor inspired pieces all year around, it just seems to fit so well with the summertime. Not that I was by too much water though. I frequented the pool a grand total of five times and that's even a stretch. The weather wasn't amicable this summer but, hey, what can ya do sometimes? I take what I can get in Ohio. I've felt very inspired from an outfit standpoint since I've gotten here at Kent, but not so much from a writing standpoint. When writing in my journal every night, I find myself sitting there awhile, trying to think of what to write about. Even when I come on here and do new blog posts, I am always eager to post pictures but have been like, "what should I write about?" I'm in college writing this semester and my professor is literally p e r f e c t. I have the biggest girl crush on her. We'll be doing a lot of creative writing assignments, and we have to write straight for ten minutes every class period with no stopping. Not to mention she's making us use twitter for the class. Too awesome, right? So I'm hoping this class and my professor will really get me inspired and thinking to write again! i love sailor outfits, too! When you say Kent, do you mean in England? Also the binocular necklace is adorable. 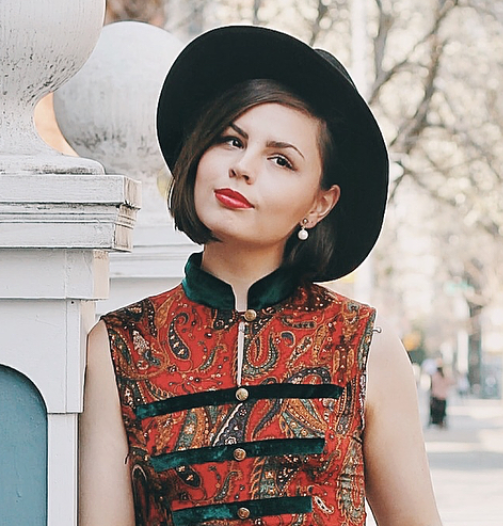 I always love a good nautical-inspired outfit. This one is super adorable! I love those red shorts so much. The striped top really is a perfect fit for them. Also that class sounds awesome. It sounds like you'll learn a lot! You look adorable :) Good luck with your writing. I find that I write best when I stop thinking about it and just let the words flow from my subconscious. You always do nautical so week! you are just so gorgeous. And the sun flare in these photos? So beautiful! I love those shorts. You're completely gorgeous. Love the outfit and your hair looks stunning! These would be great if there were a lighthouse..JUST KIDDING. Still great. 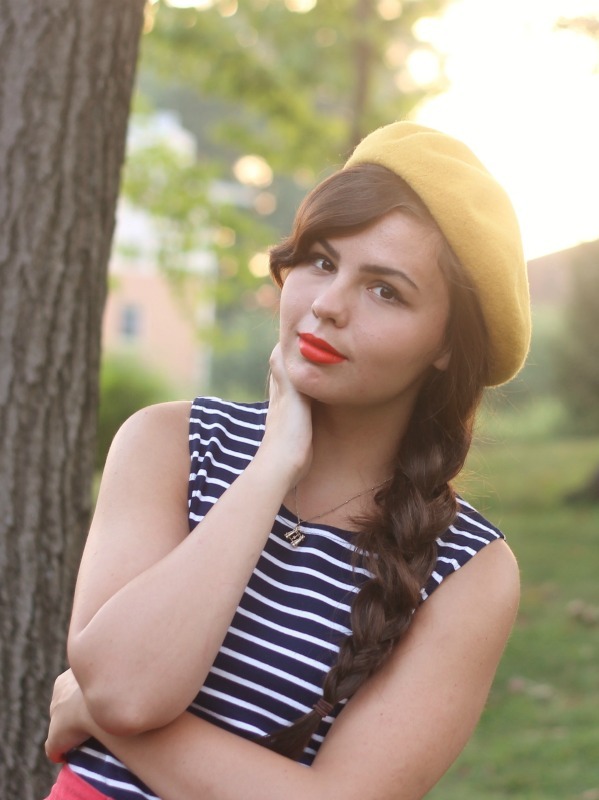 I really love your beret obsession. I always think I need one after I see yours. And I feel you, sometimes, it's hard to come up with interesting outfit things to say. Your creative writing class sounds great! I've always wanted to take one (whether or not I'm actually attending college). I think it stems from my love of writing books as a kid and now I get to use those same "skills" when I write blog posts. I'm a former homeschooler so I look at every opportunity in life as a time to grow and continue learning. It just never ends! 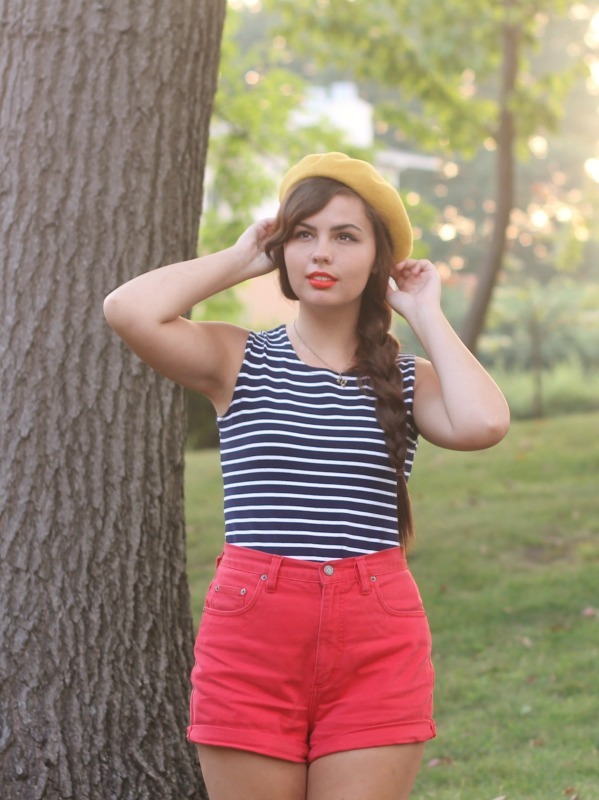 Nautical-inspired looks are my favorite! You look so so cute! And your writing class sounds awesome. Absolutely love this outfit! Those shorts are perfect on you! Glad that you have such a great writing class - sometimes the ones that we don't think we will like are the best! That's how I'm feeling about my Human Sexuality class, actually. Hope that your class inspires your writing soon! I love this look!! The shorts are so cute and look wonderful with the shoes and the tucked in top.